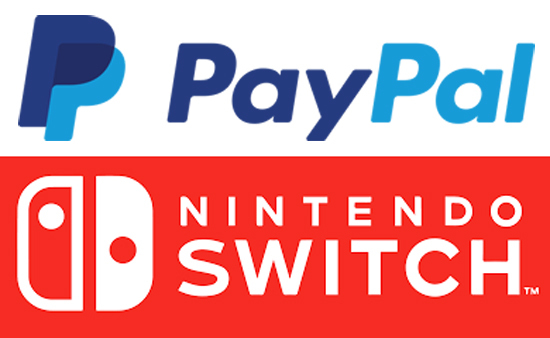 PayPal to be adopted as payment method for Nintendo eShop in the UK and select countries around the world beginning August 22. PayPal Pte. Ltd. (‘PayPal’) announced today that Nintendo eShop has added PayPal as a new payment method. Nintendo eShop users in select countries around the world will be able to use PayPal, in addition to other existing methods of payment, on the Web or on their game console. List of countries where PayPal payment services will be available: Japan, USA, Canada, Austria, Belgium, Bulgaria, Switzerland, Cyprus, Czech Republic, Germany, Denmark, Estonia, Spain, Finland, France, UK, Greece, Croatia, Hungary, Ireland, Italy, Lithuania, Luxembourg, Latvia, Malta, Netherlands, Norway, Poland, Portugal, Romania, Russia, Sweden, Slovenia, and Slovakia. *Nintendo Switch, Wii U, and Nintendo 3DS are trademarks of Nintendo.